May's Conservatives unexpectedly lost their majority in parliament in Thursday's snap vote, causing political chaos ahead of Brexit talks with the European Union set to start next week. Theresa May's party unexpectedly lost their majority in parliament in Thursday's UK snap vote. London, United Kingdom: British Prime Minister Theresa May's future was hanging in the balance Monday as she prepared for a showdown with angry MPs from her Conservative party following its disastrous performance in last week's election. She is due to face MPs later Monday, where she could face more demands to quit over her lacklustre campaign and decision to call the election in the first place. The chaos has weighed on the pound, which has plunged almost two percent since Thursday, and the government may have to delay the announcement of its policy plans to parliament. 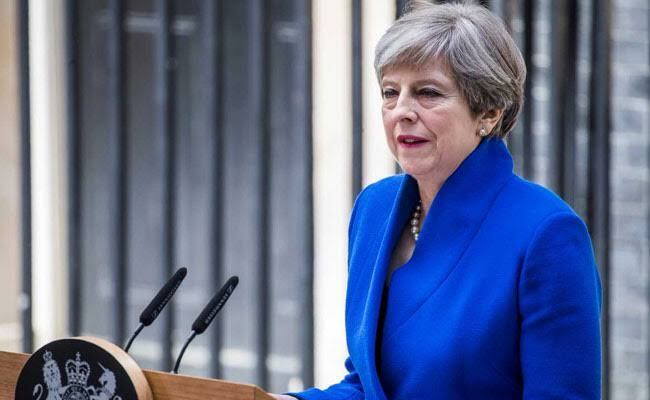 May however has vowed to stay on, and on Sunday unveiled a largely unchanged new cabinet, which met for the first time on Monday. "Obviously until we have that we can't agree the final details of the Queen's Speech," said May's deputy Damian Green, referring to a DUP agreement. He also said the government would "walk away" with no deal if talks broke down on ending Britain's four-decade membership of the bloc. On Monday, she faces members of the Conservatives' 1922 Committee, which can trigger a vote of confidence in a party leader if it receives letters from 15 percent of the party's MPs. They are expected to make demands on Brexit negotiations and any deal with the DUP.